The Looming Tower traces the rising threat of Osama Bin Laden and Al-Qaeda in the late 1990s and how at the time, the FBI and the CIA may have inadvertently set the path for the tragedy of 9/11. 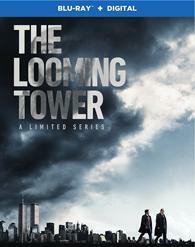 The series follows members of the I-49 Squad in New York and Alec Station in Washington D.C., the counter terrorism divisions of the FBI and CIA, respectively, as they travel the world fighting for ownership of information while seemingly working toward the same goal – trying to prevent an imminent terrorist attack on U.S. soil. Jeff Daniels stars as I-49 Squad chief John O’Neill who faces a deliberate lack of cooperation from other intelligence organizations within the federal government, after he’s convinced the United States has been targeted for an attack by Al-Qaeda. His counterpart within the CIA, the frequently antagonistic Martin Schmidt (Peter Sarsgaard), assumes the CIA is the only government agency equipped to battle potential terror threats from abroad. He disobeys presidential orders and purposely keeps information from the FBI. Although the goal of both organizations is the same, preventing a terrorist attack from happening in the U.S., the competitive nature between the two agencies and their inability to work with one another, may have given Al-Qaeda operatives in the U.S. the opportunity to put their devastating plan in motion. Special Features:Across Three Continents: Creating The Looming Tower (new featurette)- From New York to Morocco to Johannesburg, THE LOOMING TOWER production team went to great lengths to recreate and film the series as accurately as possible.The Looming Tower: Divided We Fail (new featurette) - THE LOOMING TOWER author Lawrence Wright, Former FBI Special Agent Ali Soufan, Executive Producers Dan Futterman and Alex Gibney, and the cast explore the complicated relationship between the FBI and CIA in the years leading up to 9/11.Ali Soufan: In His Own Words (new featurette) - Former FBI Special Agent Ali Soufan reveals his personal American story and shares memories of his mentor John O'Neill.The Complexities of Character (new featurette) - The cast of THE LOOMING TOWER reveal their motivations and approach to playing their complicated roles.Audio Commentaries - The Creators take the audience inside the creative process of creating the Pilot and Finale episodes.